^ WARREN, JENIFER (1992-11-11). "Determination by the Bay : Baseball: In three months, San Francisco mobilized forces to save its team from moving to St. Petersburg, Fla". Los Angeles Times. ISSN 0458-3035. Retrieved 2018-08-25. ^ Dubow, Josh (August 9, 2007). "Giants make deal with rival Dodgers, sending Sweeney to L.A". San Francisco Chronicle. Associated Press. ^ "Standings and Games on June 30, 2012". Baseball Reference.com. Retrieved 27 April 2015. ^ Stark, Jayson (11 July 2012). "Giants trample any All-Star doubts". ESPN. ^ AP (23 October 2012). "Marco Scutaro MVP of NLCS". ESPN. Retrieved 27 April 2015. He batted .500 with two walks, scored six runs and drove in four. ^ "Giants sign free agent closer Mark Melancon". Major League Baseball. Retrieved 2016-12-16. ^ "Yankees sign Aroldis Chapman to 5-year deal". Major League Baseball. Retrieved 2016-12-16. ^ "Bumgarner sets record with 2 Opening Day HRs". ESPN.com. Retrieved 4 April 2017. The 1974 San Francisco Giants season was the Giants' 92nd season in Major League Baseball, their 17th season in San Francisco since their move from New York following the 1957 season, and their 15th at Candlestick Park. The team finished in fifth place in the National League West with a 72–90 record, 30 games behind the Los Angeles Dodgers. The 1975 San Francisco Giants season was the Giants' 93rd season in Major League Baseball, their 18th season in San Francisco since their move from New York following the 1957 season, and their 16th at Candlestick Park. The team finished in third place in the National League West with an 80–81 record, 27½ games behind the Cincinnati Reds. The 1983 San Francisco Giants season was the Giants' 101st season in Major League Baseball, their 26th season in San Francisco since their move from New York following the 1957 season, and their 24th at Candlestick Park. The team finished in fifth place in the National League West with a 79–83 record, 12 games behind the Los Angeles Dodgers. The 1990 San Francisco Giants season was the Giants' 108th season in Major League Baseball, their 33rd season in San Francisco since their move from New York following the 1957 season, and their 31st at Candlestick Park. The team finished in third place in the National League West with an 85-77 record, 6 games behind the Cincinnati Reds. The 1997 San Francisco Giants season was the Giants' 115th season in Major League Baseball, their 40th season in San Francisco since their move from New York following the 1957 season, and their 38th at 3Com Park at Candlestick Point. The Giants finished in first place in the National League West with a record of 90 wins and 72 losses. They lost the National League Division Series in three games to the Florida Marlins. 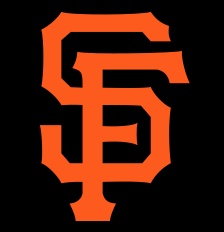 The 2000 San Francisco Giants season was the Giants' 118th season in Major League Baseball and their 43rd season in San Francisco since their move from New York following the 1957 season. The Giants finished in first place in the National League West with a record of 97 wins and 65 losses. They lost the National League Division Series in four games to the New York Mets. The team played their first season in newly opened Pacific Bell Park. The 2002 National League Championship Series (NLCS) was a Major League Baseball playoff series played from October 9 to 14 to determine the champion of the National League, between the Central Division champion St. Louis Cardinals and the wild-card qualifying San Francisco Giants. It was a rematch of the 1987 NLCS, in which the Cardinals defeated the Giants in seven games. The Cardinals, by virtue of being a division winner, had the home field advantage. The two teams were victorious in the NL Division Series (NLDS), with the Cardinals defeating the West Division champion Arizona Diamondbacks three games to none, and the Giants defeating the East Division champion and heavily favored Atlanta Braves three games to two. The Giants won the series in five games but were defeated by the Anaheim Angels in seven games in the World Series. The San Francisco Giants have had eight general managers. The general manager controls player transactions, hiring and firing of the coaching staff, and negotiates with players and agents regarding contracts. The first person to officially hold the title of general manager for the Giants was Chub Feeney, who assumed the title in 1947. The Giants' current general manager is Farhan Zaidi. The executive vice president of baseball operations is Brian Sabean. The San Francisco Giants are a professional baseball team based in San Francisco, California. They have been a member of the National League (NL), as a part of Major League Baseball, since the team's inception in 1883. They joined the NL West following the establishment of divisions within the league in 1969. The Giants played 75 seasons in New York City, New York, as the New York Gothams and New York Giants, spending the majority of their seasons at the Polo Grounds in Upper Manhattan. The Giants relocated to San Francisco in 1958, briefly playing at Seals Stadium. After sharing Candlestick Park for 29 years with the San Francisco 49ers National Football League team, the Giants moved to their current home, Oracle Park, in 2000. From October 1, 2010 through June 16, 2017, the Giants recorded a National League-record 530 consecutive sellouts.The Giants are one of the most successful teams in Major League Baseball history, having won more games than any other team and having the second highest winning percentage. Their eight World Series titles are tied for fourth-most in baseball, while their 23 pennants are the most in the National League, and second-most overall. Their first title came in 1905 against the Philadelphia Athletics, where they won the series 4–1. They claimed four consecutive National League pennants between 1921 and 1924, going on to beat cross-town team the New York Yankees in the World Series on two of those occasions. Their fourth title came in 1933 as they beat the Washington Senators in five games. The 1951 season saw the Giants beat their rivals the Brooklyn Dodgers in a three-game playoff for the National League pennant. The Giants won the series 2–1 on a walk-off home run by Bobby Thomson in game 3, a moment remembered as the Shot Heard 'Round the World. They went on to lose in the World Series to the Yankees. A 4–0 series sweep of the Cleveland Indians in the 1954 World Series earned the Giants their fifth title. Until 2010, the Giants were without a title since relocation to San Francisco — at the time this was the third-longest World Series winning drought in the league. They have made it to the World Series on six occasions following the move, but were on the losing side each of the first three times. Among those was the 1989 World Series, when the "Bay Bridge Series", being contested against neighboring team the Oakland Athletics, was interrupted by the 1989 Loma Prieta earthquake; the series was postponed for ten days, and the Giants were eventually swept by the A's. The club ended its title-winning drought in 2010, as they beat the Texas Rangers 4–1 to bring the Commissioner's Trophy to San Francisco for the first time in the city's history. The Giants won their second title in San Francisco in 2012, sweeping the Detroit Tigers, and won again for the third time in five years in 2014, defeating the Kansas City Royals in seven games.